An advanced command and control centre was opened in Rio de Janeiro long before the 2014 FIFA World Cup and the upcoming Olympic Games. 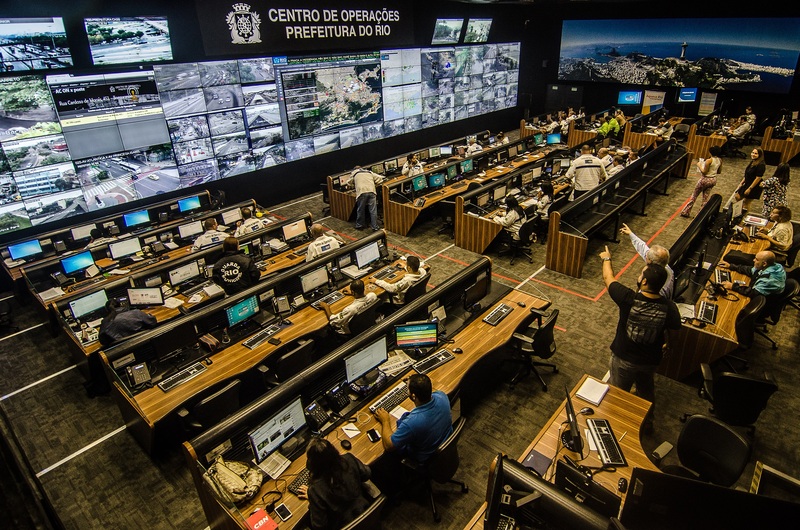 The Centro de Operações Rio (COR) monitors urban traffic movements, people flows, weather conditions, calamities and health risks at all hours of the day. Where army and police data systems are aimed at fighting crime and preventing possible terrorist attacks, the COR focuses on the city as a whole and collects data from weather stations, traffic cameras, mobile apps, social media, health organisations, and even local observers. This data is used to build models that are intended to ensure that traffic circulates smoothly, potentially hazardous situations are neutralised, and that the city provides its inhabitants and visitors with the healthiest environment it can. The installation Control Syntax Rio shows how the COR approaches the Olympic city as a matrix of possible disasters and solutions. 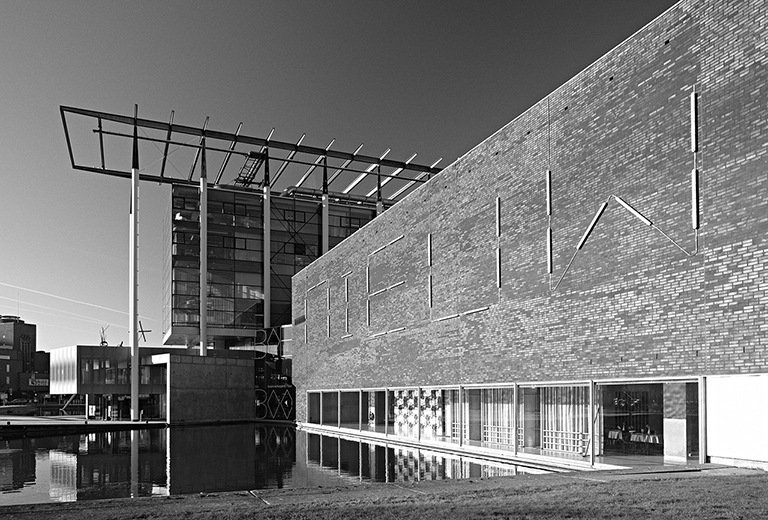 The COR is concerned with vast streams of data and algorithmic analysis, but the effects of its command and control mechanism – described by the curators Mark Wasiuta and Farzin Lotfi-Jam as a "control syntax" – are much more concrete. They directly affect the social climate of the city: neighbourhoods can be sealed off, traffic can be redirected and citizens can be temporarily denied access to public facilities. The reality of this "smart city" teems with potential conflicts. For instance, how much space is there for residents of a neighbourhood to hold a demonstration if there is also a risk of a traffic jam? And how much private data is needed to neutralise a threatening health issue? The COR’s walls are covered in screens that not only express the desire to control and optimise the body of the city, but also reveal the irregularities, risks and instabilities of the city. 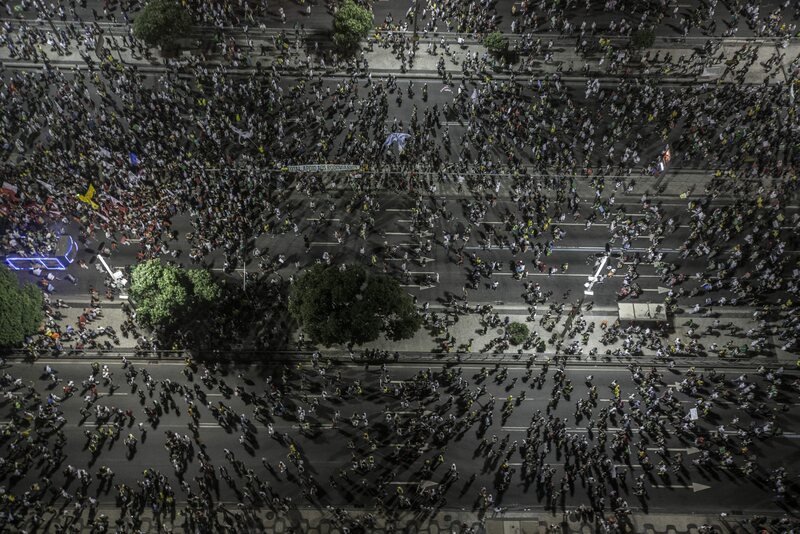 Control and disorder become simultaneously visible in the COR. Control Syntax Rio leads the visitor through a spatially reimagined Rio de Janeiro, confronting them with different models of exceptional situations: a landslide, a demonstration, a bus on fire blocking a road, a chemical leak, a festival. Here, one experiences Rio as a smart Olympic city with the COR as its nerve centre. Mark Wasiuta teaches at the Graduate School of Architecture, Planning and Preservation, Columbia University (New York City), where he is Director of Exhibitions, Director of Collecting Architecture Territories, and Co-Director of the MS degree programme Critical, Curatorial and Conceptual Practices in Architecture. Farzin Lotfi-Jam is an adjunct professor of Architecture at Columbia University (New York City) and holds advanced degrees from Columbia University and RMIT University in Melbourne, Australia. He is a 2015-2017 Fellow of the Akademie Schloss Solitude in Stuttgart and was a 2013-2014 Sanders Fellow at the University of Michigan. Control room Rio de Janeiro. Centro de Operações Rio de Janeiro. Photo George Soares.